Free Shipping Included! 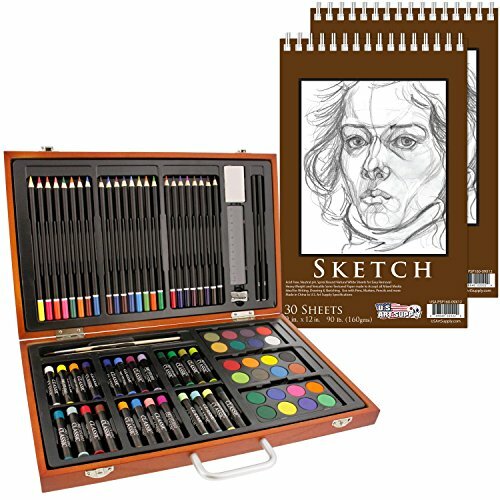 US Art Supply 82 Piece Deluxe Art Creativity Set in Wooden Case with 9''x12'' 90 Pound 30 Sheet Sketch Pad by US Art Supply at Designers Artists. MPN: 82-SKETCH. Hurry! Limited time offer. Offer valid only while supplies last.